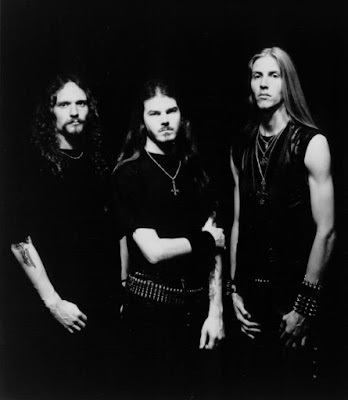 The band has been active since some time ago, though under a different name/concept, so please tell us about the very beginning and the transition from Carpathian Lords to Hate Manifesto. The band was formed in the very beginning of 97' by ex-member Conqueror Warfrost Armageddon and shortly after I joined in. 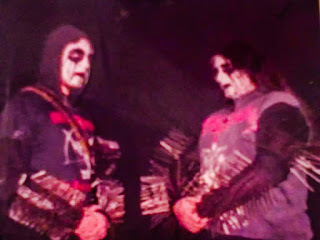 Me and Warfrost Armageddon were playing together in another band at that time so he wanted to start a solo project and formed Carpathian Lords. Due to the lack of line up he asked me to join in and handle the drums but I ended up composing the whole music and being a solid member. 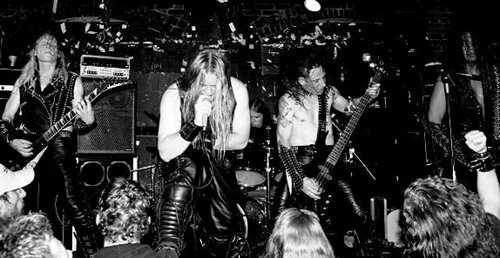 From 97' to 99' we recorded 2 demos in the typical Scandinavian/Greek black metal style and gave many gigs locally. Among all that we supported bands like Marduk, Ancient Rites, Immortal etc. In 99' I was fed up by the incompetence of the current line up failing to take the band a step further in extremity so I handled everything by myself, changed half of the line up and the whole musical style to what you hear now days more or less. Why did you choose Hate Manifesto as the band name, what´s the philosophy/concept behind the name? Carpathian Lords did not represent us anymore as the years were passing. We came up with that name when we were teens more or less so it was very clear that we'll change the name sooner or later. That happened in 2003 right before we went on hiatus. I wanted something straight to the point that could reflect also the feeling and vibe of the band's music and of course to reflect all the negativity. The philosophy and concept behind Hate Manifesto is total hatred and aversion towards whatever we consider sick or morally wrong. It's a statement of total negativity for a world that perpetuates filth and degenerates its own kind beyond any moral values. When virtue slowly fades you must conquer the oppressor to thrive. 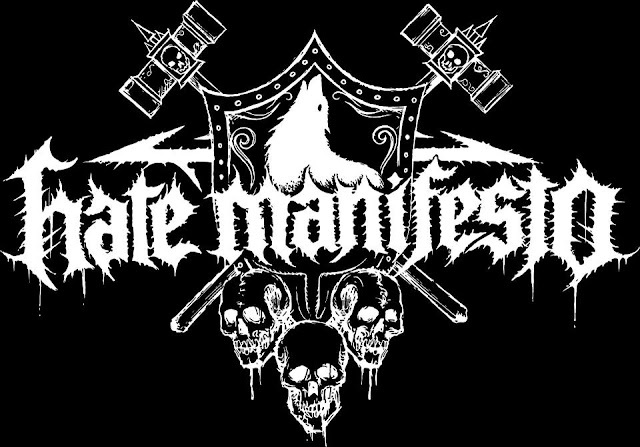 Tell us about the band´s influences, as you are and where involved in other bands, is it difficult to escape from the same influences and ideas when you write for hate manifesto? You can label Hate Manifesto as a blackened war metal band. 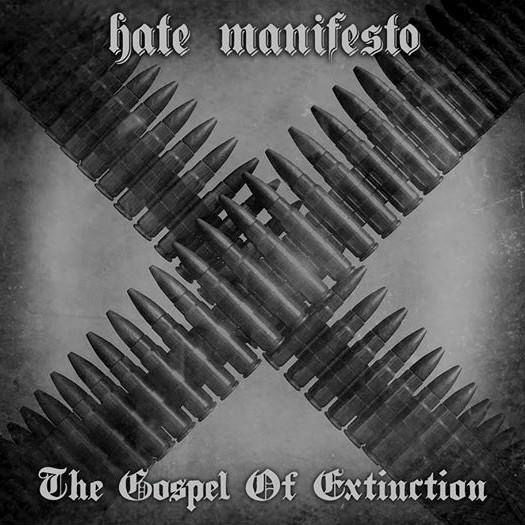 Hate Manifesto differs from my other projects so it's not difficult to compose the music. You recorded guitars, bass, vocals and worked with warhead (member of wargrinder) on drums, please tell us details of the album recording and your feelings and sensation through the recording sessions. The album was recorded mixed and mastered at incorporated m studios. 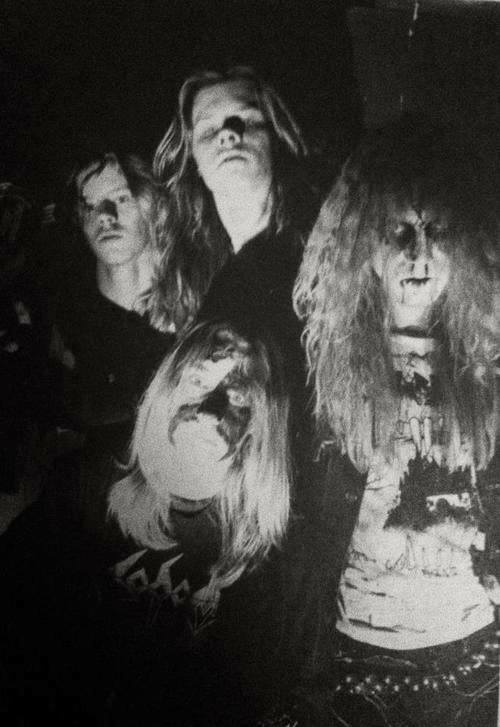 Warhead came from Iceland to record the new Wargrinder album and within few days he recorded "To Those Who Glorified Death" also. Huge respect and appreciation goes towards him for recording the drums absolutely ill and with high fever. That's the kind of strength he possess as a man and a personality and I’m really glad and honored that after so many years we collaborated again for Hate Manifesto. To Those Who Glorified Death is a homage to all those who died in the battlefields through the centuries. To those who sacrificed their lives for a higher cause. to those who craved for dominance but also for virtue and valor. The disciples of the iron shield. I love the album cover so simple but at the same time so raw and meaningful. Contrary, your logo shows a more complex idea, a shield, a howling wolf, skulls… everything drawn by the great Christophe Szpajdel. Yes Christophe Szpajdel made the logo and it's superb. He couldn't be more on point. It represents Hate Manifesto's music as its best. The shield and hammers represent the conqueror, the wolf stands for the predator spirit and the skulls imply for death. I’m curious about the song “Winter Wolf Brigade”, what does the lyrics deal with? It talks about a fictional winter battle. Lets go back in time for a while and talk about your first release (as hate manifesto), the split 7” with wargrinder. Are you satisfied with that release? How do you look back at it now? I love this release. 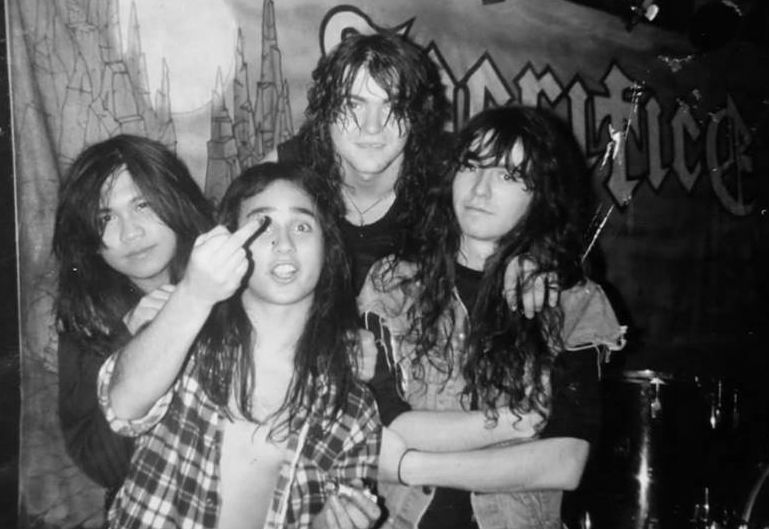 It was the first release after many years of hiatus and it came out with a killer horde such as Wargrinder. It couldn't be a better match than that. Also it was the first time both bands were released on vinyl. Both tracks kill I love this split. When I look back at it I recall all the strong emotions I had after all these years collaborating with Warhead again and bringing Hate Manifesto back to life. The concept of the release was focused on war, bullets on the cover artwork and the song “Perpetual Glorification of the Eternal Symbols (of War)", please tell us about those eternal symbols of war and their perpetual glorification. Once again the cover is simple and it represents war. The whole concept and track is a praise to war, dominance and eternal victory. Hate Manifesto's concept has to do with war through the centuries so some stereotypes of the genre can't be missing. A war never ends so it perpetuates and gets glorified through eternity. Back to the present, what releases of 2017 have you enjoyed so far? I don't listen to new releases mostly old stuff it must be something really magnificent to pay attention. But please make your self a favor and listen to Wargrinder's in Suicidal Triumph album. A beast of an album and a gem for this genre don't miss it. Are you satisfied with Fistbang records? Will you work with them for your next release? Fistbang recs is a small and honest label and yes I’m satisfied because I know and I see that their trying their best to spread the new album. And in fact it's going pretty well. John that owns the label is a friend and a purist, you know sometimes it doesn't count how big is a label it's the people's attitude that counts the most. Do you discard adding new members for future releases? Yes. Hate Manifesto is a very close project and I don't want other people to intervene in my work. If there was a possibility for someone to join the band that could be only Warhead to handle the drums. I don't need something else beside a drummer since I quitted drumming a long time ago. I do all the rest and thankfully I don't need anyone else. 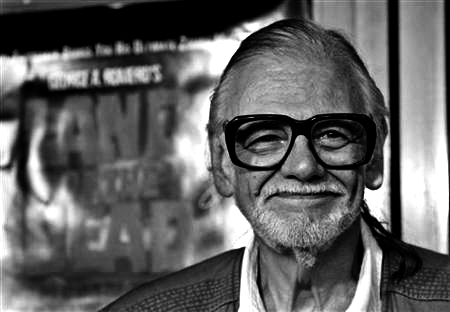 If you had the opportunity to represent a character in the remake of an old movie (or get into the skin of the original character), which character would you like to play? hmm…that's a tough one…probably Jake la Motta from Raging Bull or Jimmy Conway from Goodfellas...don't know so many characters that I adore. What are your next steps with hate manifesto and with your other projects? Nothing specific actually. I leave things to take its course naturally. 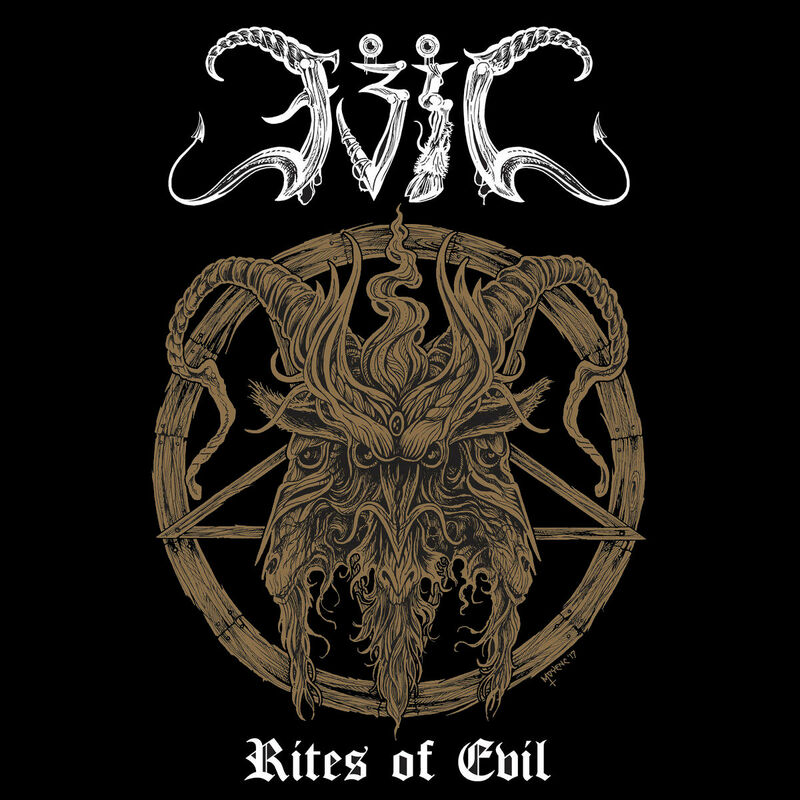 As for Black Blood Invocation there's a 7'' ep coming soon and a split 7'' for Cult Of Eibon coming next year. No rush for nothing. Thanks for your time, anything else I might have missed out here, which you'd like to add? Thank you for this interview+support to Hate Manifesto much appreciated brother. 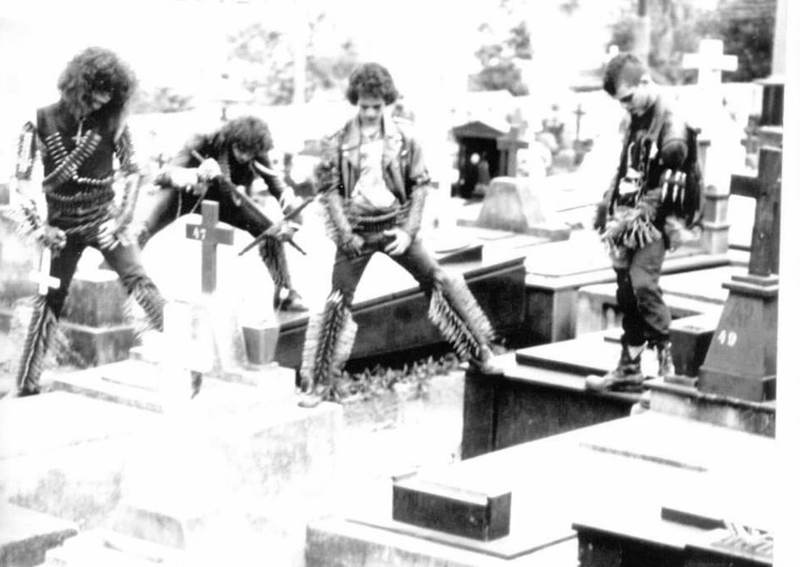 Etiquetas: Sacrifice, SOUNDS FROM THE DARK PAST! September 15th is the international release date for “Always Higher” the brand-new mini-album of Chilean old school death metallers ORACULUM. "Always Higher" stands as a fierce manifestation of the primeval evil in man, bringing the principle of the conqueror as the true holder of wisdom, power and conviction. Serving as an essential pillar in a world where the lack of spirit fools the sheep with hollow intentions and nothing valuable transcends. Let the Death Metal hierarchy overwhelm the weak. We bow to none!" NECROMANTE "The Magikal Presence Of Occult Forces"
“The Magickal Presence Of Occult Forces” is the title of the debut álbum of NECROMANTE, an occult and powerful trio hailing from Brazil. 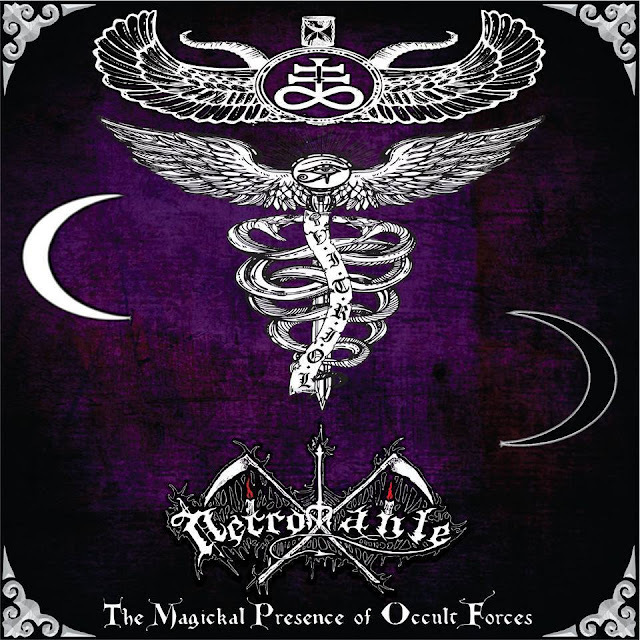 Over the course of the 41 minutes of the álbum, influences of the likes of Sarcofago, Vulcano, Sextrash, Mystifier, and Impurity can be found, but beyond that the music is described as “Raw and red-blooded yet utterly clear in its execution, the album swirls together martial blasts of bestial drums, sorcerous heavy metal leads, contrapuntal bass-work, and frequent interludes of eerie acoustics." The band was formed in 2007 and have released a couple demos, a mini-album, and a live album. The Full-length will be released on October 6th via Iron Bonehead Productions on CD and vinyl. Etiquetas: Sacramentum, SOUNDS FROM THE DARK PAST! Etiquetas: Sacrilege, SOUNDS FROM THE DARK PAST! 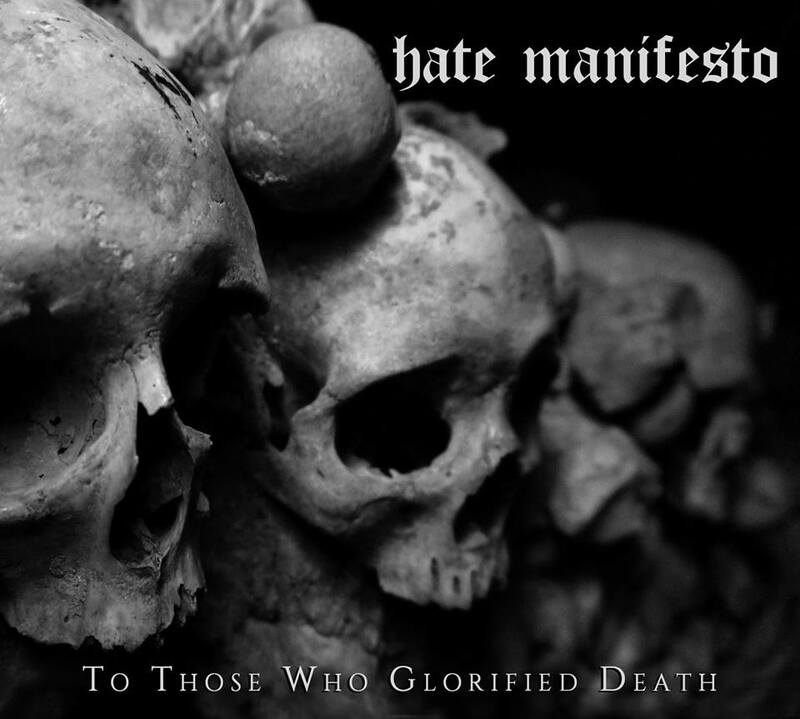 HATE MANIFESTO "To Those Who Glorified Death"
HATE MANIFESTO from Greece have just released their debut full length "To Those Who Glorified Death" via Fistbang Records/Unholy Distro and Vonfrost Records handling the cassette tape version. 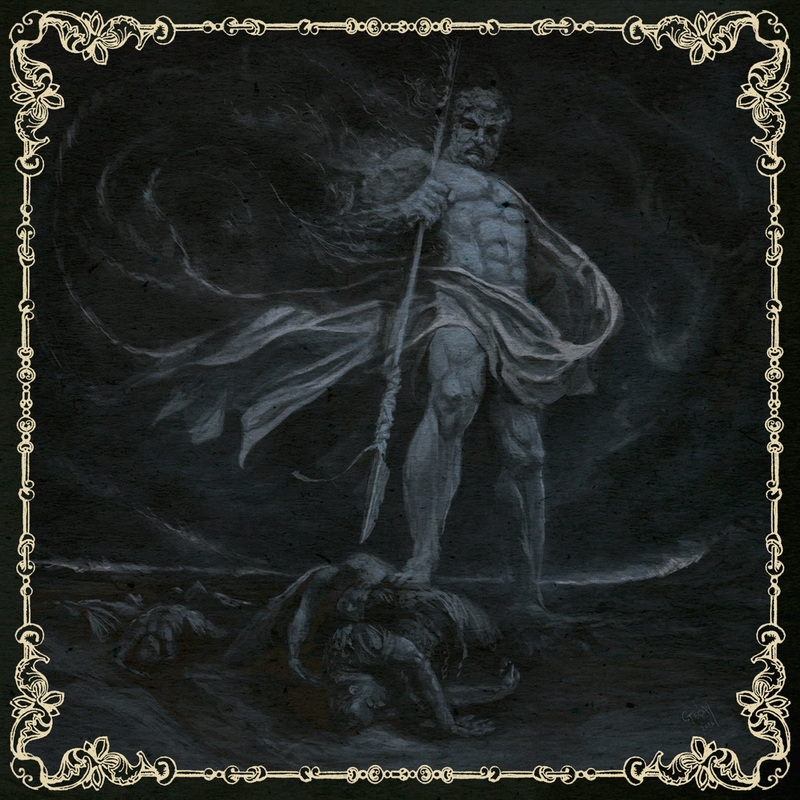 Fast and brutal blackened death metal would be a good description of the album, but it goes beyond, there are also Mid paced parts and dark melodies, that mixed with the fast riffs and the brutal growls makes a great combination of brutality and dynamic intensity. 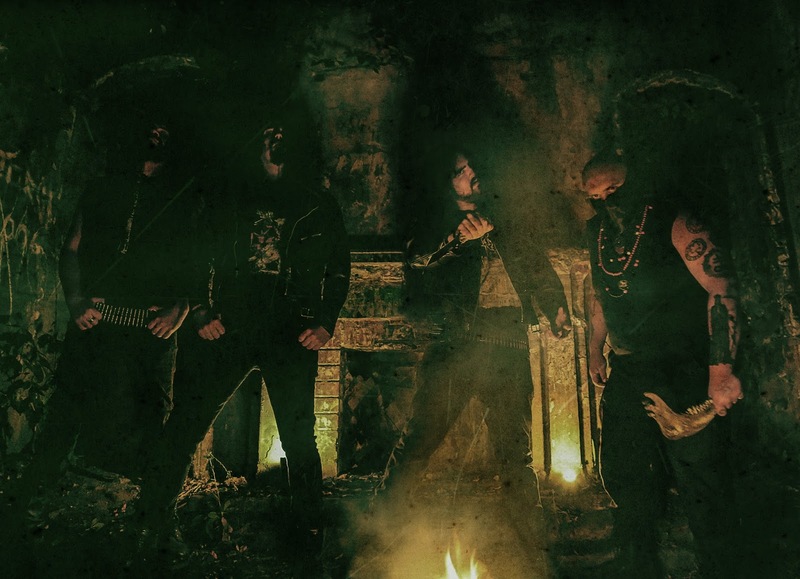 MEFISTO unveiled another new track from their forthcoming album. The second single “Let Go Of Life” features L.G. 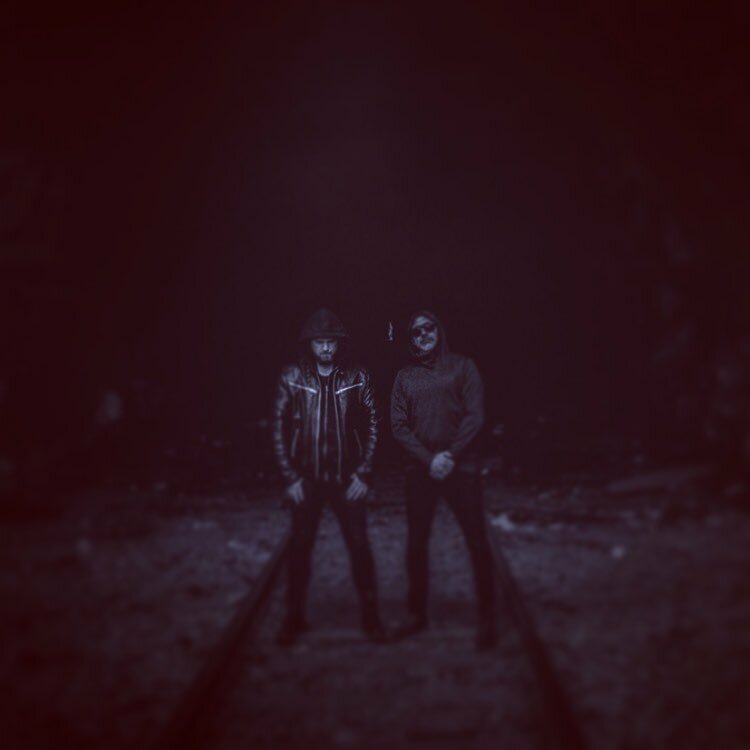 Petrov on vocals, and it is a mid-tempo, melodic track, with Petrov´s recognizable vocal style, adding whispered voices and clean guitars too, making a dark and of course heavy song. I´m eager to listen to the whole album and I think it´s going to be far better (at least for my taste) than its predecessor released last year. “Mefisto” will come out next October. 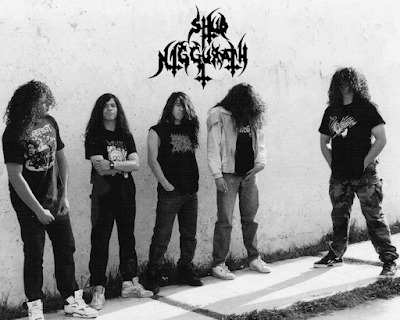 Etiquetas: Shub Niggurath, SOUNDS FROM THE DARK PAST! Hell yeah! 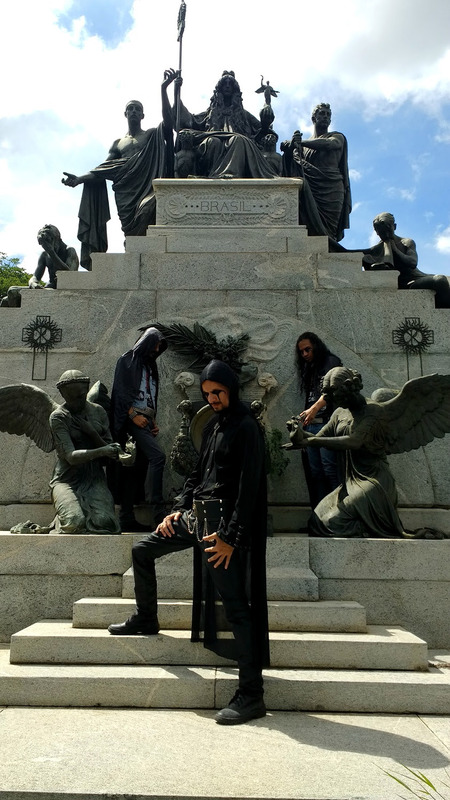 Osmose Productions announced the signature of Portuguese Children of the Infernal Darkness, FILII NIGRANTIUM INFERNALIUM. A teaser and a full track will be revealed soon!, stay tuned bestas do caralho!!! 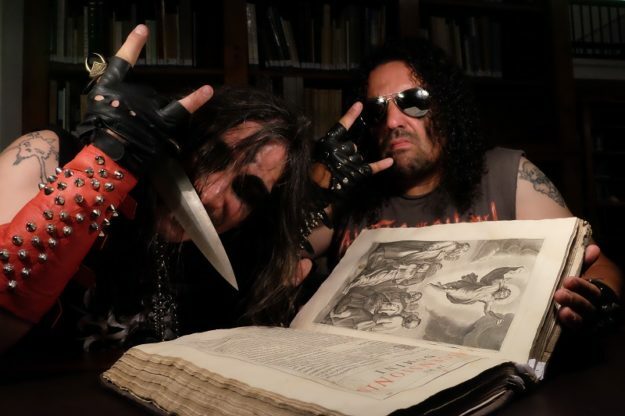 Etiquetas: Slayer, SOUNDS FROM THE DARK PAST! Etiquetas: Morbid, SOUNDS FROM THE DARK PAST! 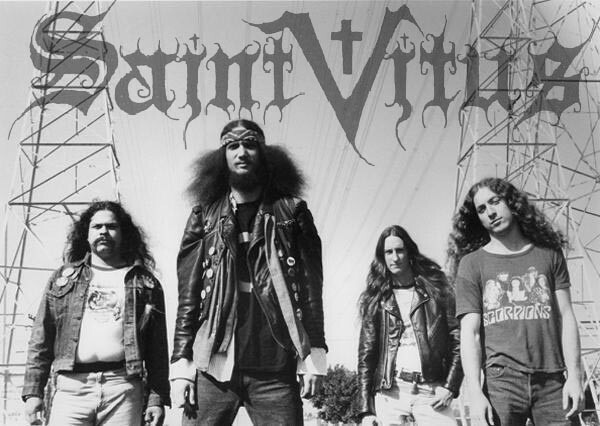 Etiquetas: Saint Vitus, SOUNDS FROM THE DARK PAST! 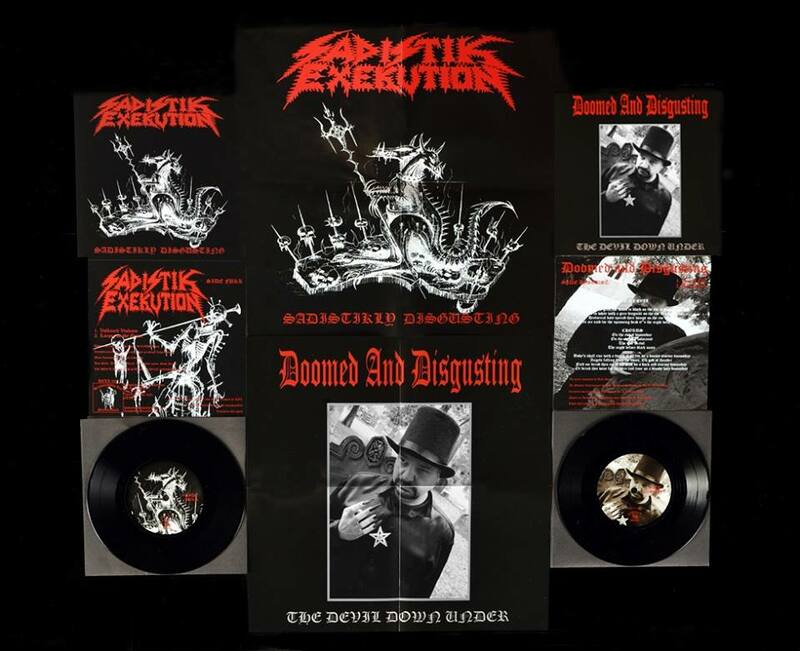 SADISTIK EXEKUTION / DOOMED AND DISGUSTING Split 7"
Out Now!! Yes, finally here! a killer split 7” featuring SADISTIK EXEKUTION and Dave Salve´s DOOMED AND DISGUSTING, delivered from hell to us by Blasphemous Art Productions. “Sadistikly Disgusting” comes in 280g Jacket With Matt Machine Varnish, 42g Black Vinyl, Insert on 140g Art paper, 150 gsm Posters (double-sided) on Art Paper, Limited to 500 copies on Black Vinyl. 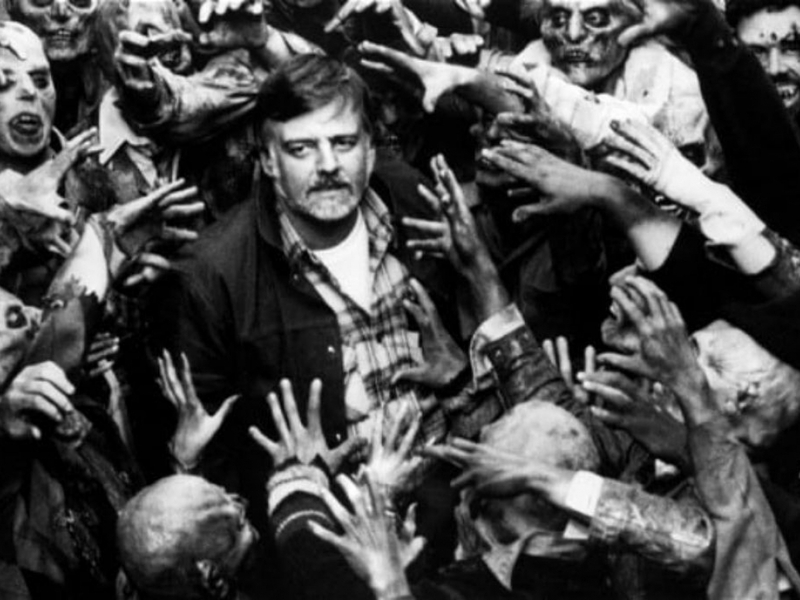 “The creepiest horror soundtracks ever! Former and founding member of the most violently insane metal band ever... Sadistik Exekution spews.."Dave Slave" who since 2000 has been creating horrid musik/art/imagery which may place a supernatural presence in the ears and eyes of many. You´ve been warned...Listen – Fukk - Die! 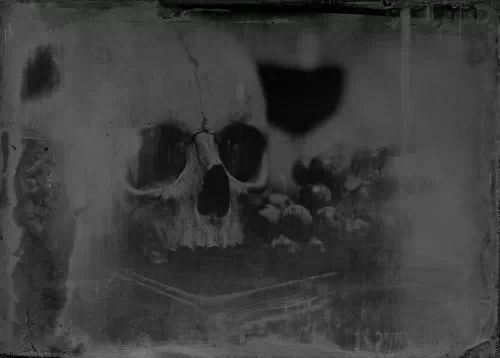 Etiquetas: Infernäl Mäjesty, SOUNDS FROM THE DARK PAST! 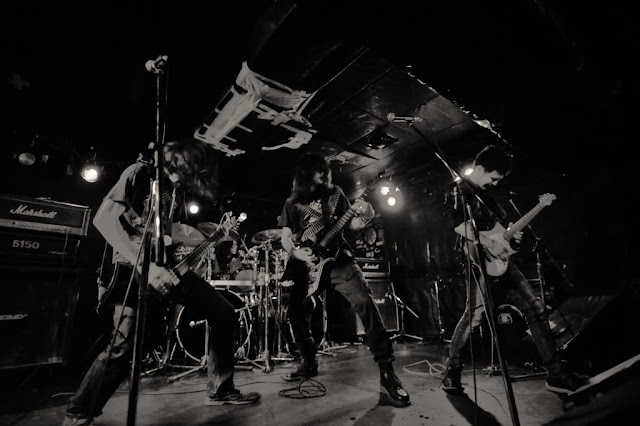 EVIL is a Japanese old school metal band formed in 2011, after two demos and a split CD the band strikes with their first full length “邪悪を讃えよ (Rites of Evil)”, on vinyl through Nuclear War Now!. Etiquetas: Obscurity, SOUNDS FROM THE DARK PAST! 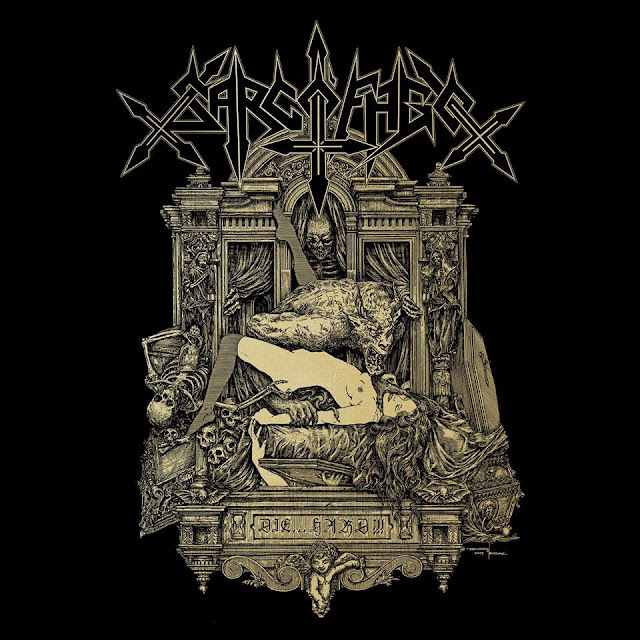 I like to and I must post about this as SARCÓFAGO is one of my favourite bands and because it is so cool to see the artwork made by Sbyszek Bielak for a special edition of Sarcófago´s demo compilation “Die…Hard!" released in 2015 through Greyhaze Records. Bielak showed himself very enthusiastic about this work, as he commented:…”So, I might hereby have reached the apex of my career, as this is an official artwork for my all time favourite band – SARCOFAGO”. Evoking the artwork of the great “Satanic Lust” demo, the special artwork was created for a slimcase edition on double vinyl and shirts, as well as limited artrpints later on…Stay tuned! WORSHIP VINYL: SABBAT "The Devil´s Sperm Is Cold"
BUNKER 66 "Chained Down In Dirt"